Younki traveled to the University of Virginia to meet Amanda. 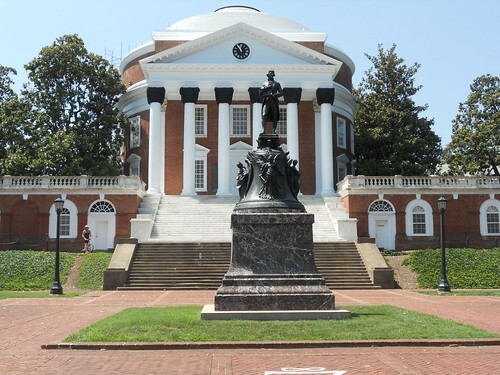 University of Virginia is a very good and famous university. Hi, my name is Amanda and I received a letter for your pen pal project. 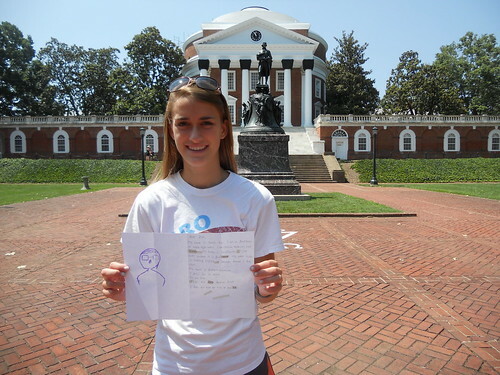 I took pictures with your drawing in front of the Rotunda at the University of Virginia. 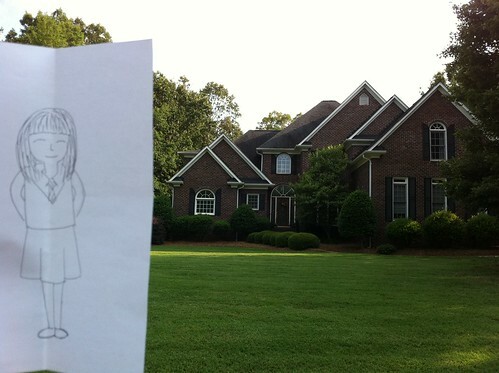 It was designed by Thomas Jefferson. It was built in 1826. I hope school is going well and you are having a fun time! You can email me anytime! Amanda and Younki in front of the Rotunda. Hye Jin’s penpal Allison went on a trip to Europe! 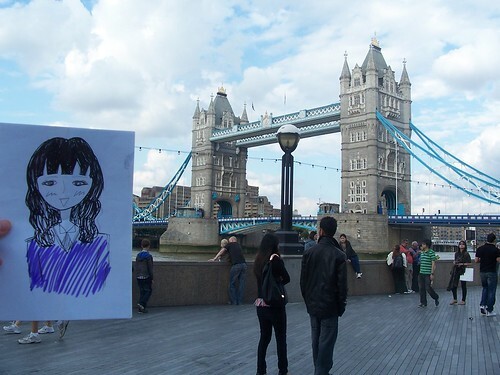 Her first stop was London, England. ‘Ello and Greetings from the United Kingdom! I am currently visiting a friend who lives in London. London in the largest city in England and the capital to both England and the United Kingdom. The history of London is expansive and dates back all the way to AD 43. 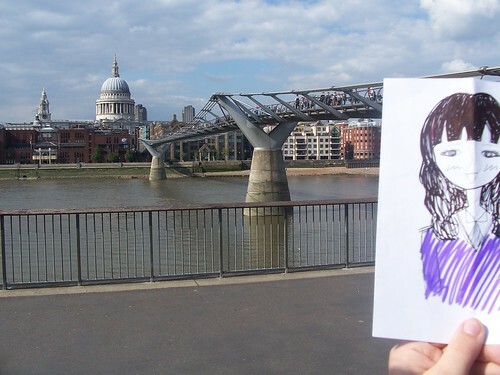 In the first picture, you can see St. Paul’s Cathedral with the Millennium bridge in front of it. The current cathedral dates from the 17th century and was designed by Sir Christopher Wren. The site is generally believed to be the fifth St Paul’s Cathedral. Meaning that 4 others have been built there and torn down since AD 604. I really enjoyed getting to see this building because in America, we do not have anything this old. My country is very young compared to England and getting to be around places so old was very exciting for me. In the same picture, you can see the Millennium bridge and it is one of my favorite places in London. It is a massive pedestrian footbridge that goes across the Thames River stretching 370 meters to make it! As you can guess from its name, it was opened in June of 2000 for the Millennium. I am not sure if Harry Potter is popular in Korea but if you have seen the 6th movie, this is the bridge that gets destroyed in the beginning of the movie. One of the reasons that I like the bridge is if you go on it there are no cars or buses to distract you from the beautiful views of the city! Jubilee. The blue of the bridge is one of the reasons that I love this bridge so much. Although pink is my favorite color, something about the blue of the bridges makes it seem very royal and fit for a Queen. Whenever I come to London, I sit at the steps that this picture is taken from and read for a bit while I enjoy the view of the bridge! Thanks for the letter, Allison, I hope you’re having fun traveling! 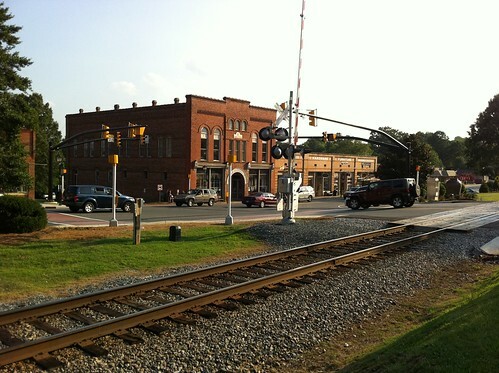 Mi Hwa went to visit Mary Ann Mackey in Waxhaw, North Carolina. I would love to visit your town of Yesan! Traveling is one of my favorite things to do. When I was in my third year of university I spent three months studying in Europe, in Salzburg, Austria. 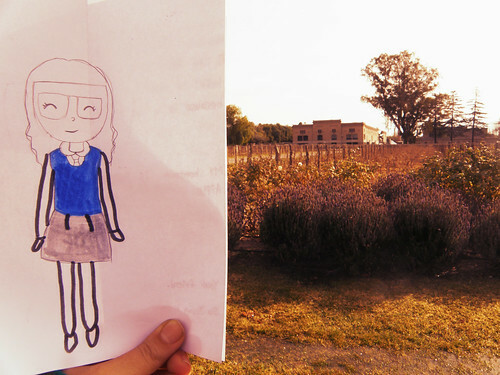 I had a wonderful time there, and I can’t wait to travel again! 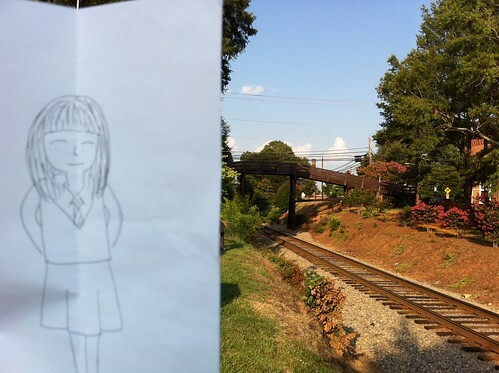 Mi Hwa and the train tracks. 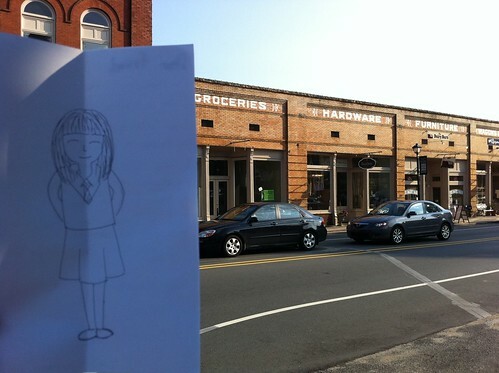 Mi Hwa’s hanging out in downtown Waxhaw. Mi Hwa in front of Mary Ann’s house. 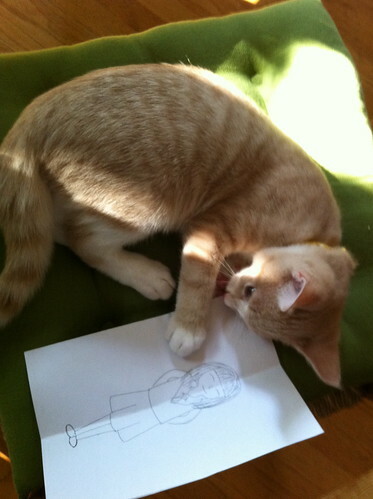 Thank you so much for the letter and pictures, Mary Ann! Jisu went to visit one of Emily’s friends, Auburn, who lives in California! Hi, my name is Auburn Lutzross. I live in Oakland, California. Oakland is right next to San Francisco. San Francisco is very famous because it is one of the largest cities in California and the United States. There are 805,235 people living in San Francisco. 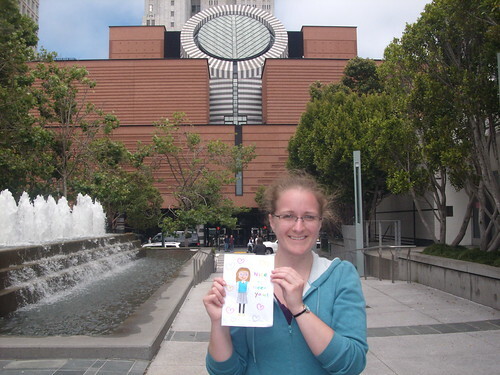 The picture is a photograph of me and your drawing in front of the San Francisco Museum of Modern Art. 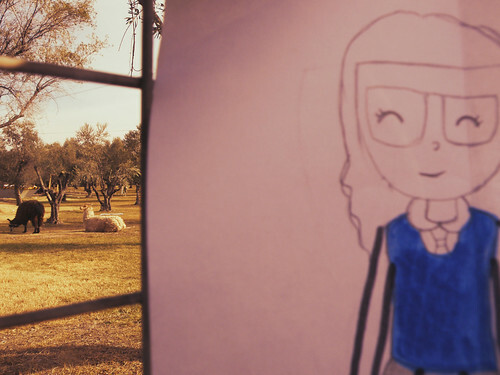 I love making art, especially drawings and sculptures. In high school I went to an art school. Now I work as a linguist, documenting languages from all over the world. Before that I taught English in Korea, just like your teacher, Ms Emily. In Korea I lived in Mokpo. I never visited Yesan, but I would like to go there someday. Thanks for the letter Auburn! I hope you make it to Yesan someday :). Su Jeong traveled all the way to Mendoza Argentina to meet Zarina! I was very happy to get your letter! My name is Zarina and I’m 21 years old, I’ll be 22 in august! I love birthday parties, I also like watching movies like you. My dream is to be a good photographer and take many pictures around the world! I live in South America in a country called Argentina. My city is Mendoza, next to the Andes mountains, and it’s famous for its great wineries and wines. 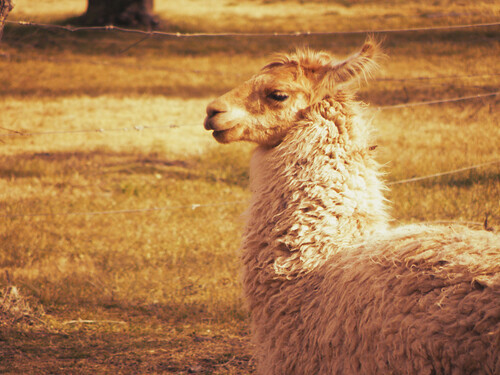 I took you to a winery near my house, and in its backyard there are a couple lamas! Aren’t they beautiful? Thank you so much for your letter and I hope all your dreams come true!!! 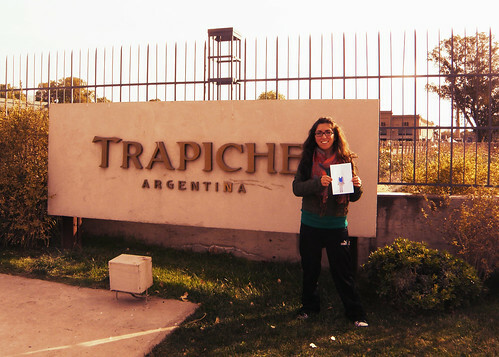 Thanks so much for showing us a bit of Mendoza, Zarina! 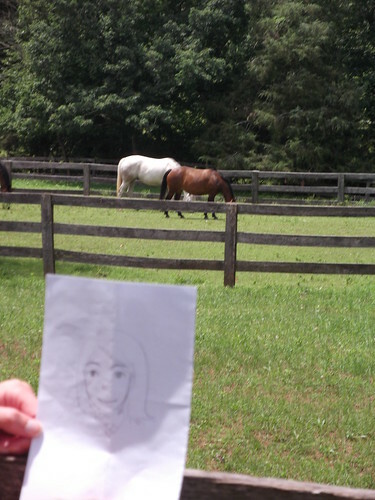 Ha Neul traveled to many different famous places in Virginia with her penpal Erin. Erin explains the history of all these famous places in her letter. These couple of photos were taken at a home near the Manassas Battlefields in Manassas, Virginia. The First Battle of Bull Run, was fought on July 21, 1861, in Prince William County, Virginia, near the City of Manassas. It was the first major land battle of the American Civil War. The American Civil War started from in economic and social differences, slavery, and state versus federal government rights. This year is the 150th anniversary of the start of that war in 1861. The planned events are centered around the third week of July, with most happening the weekend of July 22 through 24. Events will include a two-day reenactment of the first battle of the Civil War, a military parade in Old Town, and a Blue and Gray Ball. A civil war era baseball league will play fourteen exhibition games as well. There will also be a 26-acre military camp set up at Jennie Dean Park while the school by the same name will hold a tablueau and fashion show of era replica gowns including those worn by the Empress of France. 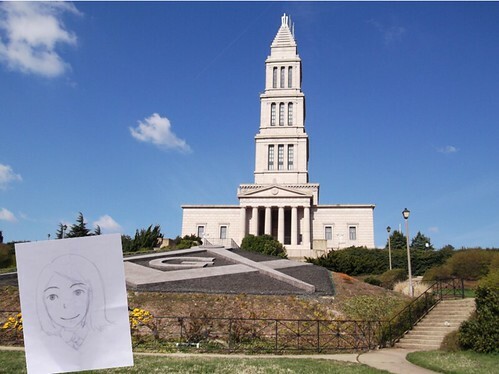 This photo was taken at the George Washington Masonic Temple in Alexandria, Virginia. George Washington Masonic National Memorial is a Masonic building and memorial located in Alexandria, Virginia, outside Washington, D.C. It is dedicated to the memory of George Washington, the first President of the United States. The tower is fashioned after the ancient Lighthouse of Alexandria in Egypt.The 333-foot (101 m) memorial sits atop Shooter’s Hill (also known as Shuter’s Hill) at 101 Callahan Drive. Construction began in 1922, the building was dedicated in 1932, and the interior finally completed in 1970. 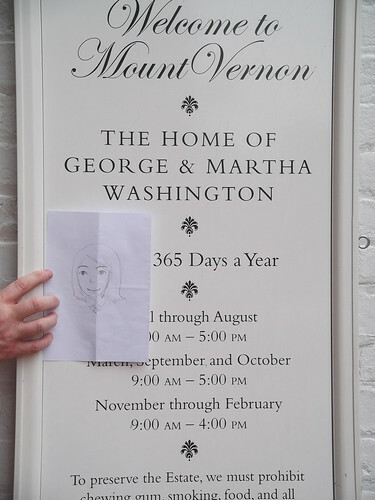 These photos are taken by Mount Vernon located near Alexandria, Virginia. 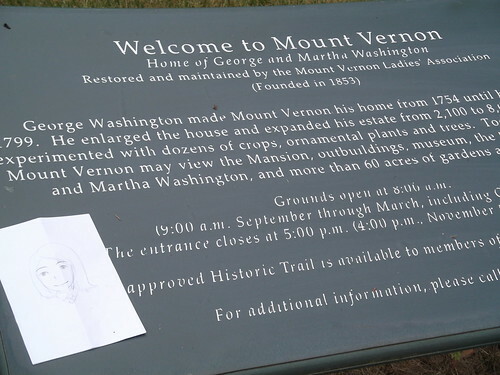 Mount Vernon was the plantation home of the first President of the United States, George Washington. 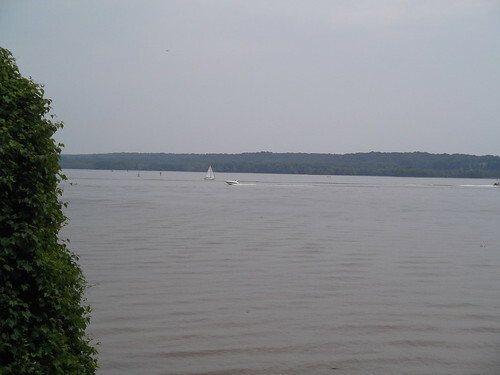 The mansion and the estate is located on the banks of the Potomac River. Thanks for the interesting letter, Erin! Cho Hui went to visit Allen Zechini! 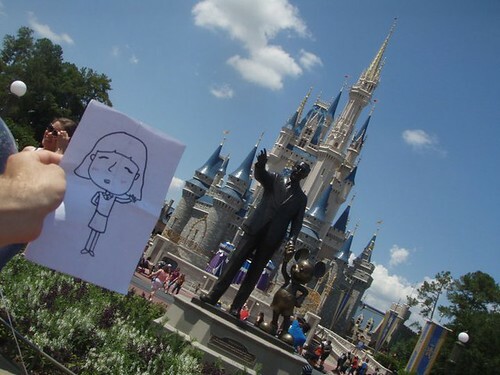 Allen lives in Virginia, but took Cho Hui to Washington DC (America’s capital) and Disney World, which is in Florida! I was very excited to get your letter! My name is Allen and I am 23 years old. I’m just like you because I like to watch TV too. I also like to spend a lot of time with my family and friends. I met a lot of my friends here at my university, George Mason University. This is the building where the school’s orchestra performs their music. My dream is to be a great soccer player or coach for the United States of America. Do you like soccer? 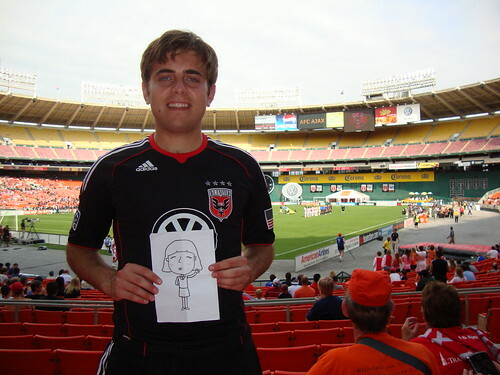 My favorite team is here in Washington D.C. and they are called D.C. United. Here is a picture at one of their games with a famous Dutch team called Ajax FC. Soon after I got your letter, I was in a wedding in Disney World. It is a very famous place where families go to have fun. Do you know who Mickey Mouse is? How about Cinderella? Well, here is her castle with Mickey Mouse, and his creator Walt Disney. Thank you again for the letter. Take care, and just like you said to me: I hope your dream comes true, too! Hye Jin went to Washington DC to visit Allison! Hello and greetings from Washington, DC! The capital of the United States of America! I was so excited to get your letter and I hope you like the pictures that I took with your beautiful drawing! My name is Allison and I am 23 years old. I studied German when I was in University and I met one of my best friends there. Her name is Hye Meen and she is also from Korea! She introduced me to the Wonder Girls. I am sure you have heard of them! I wish I had studied Korean but all I know are the words to their songs! I think it is awesome that you play the piano. I have always wanted to learn and took a class in college but I wasn’t that good at it. I am sure you are amazing! I work as a secretary in a high school and some of my favorite teachers are the science teachers. That is a great dream to have and I wish you all the best. I actually had a science class with Ms. Emily when we were 15 years old. She was my lab partner in chemistry! I probably would not have gotten a good grade without her help. One of my hobbies is traveling. In 5 days, I will be going on a trip around Europe for 6 weeks! I will be going to England, Italy, the Netherlands, Ireland, Austria, and Wales! I am very excited about my trip! I hope you are enjoying your time with Ms. Emily and that you continue to play the piano! PS: In the one picture is the White House! That is where the President of the United States lives with his family! The other picture is of the Washington Monument. It was built for the first president of the United States, George Washington. Enjoy! 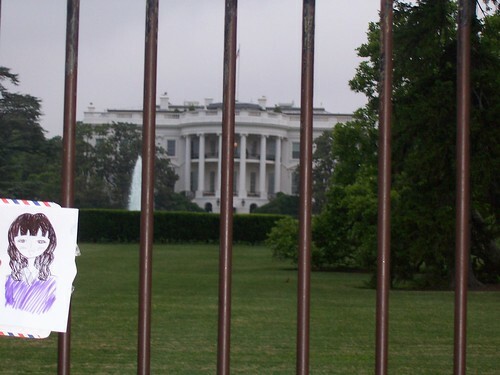 Hye Jin and the White House! 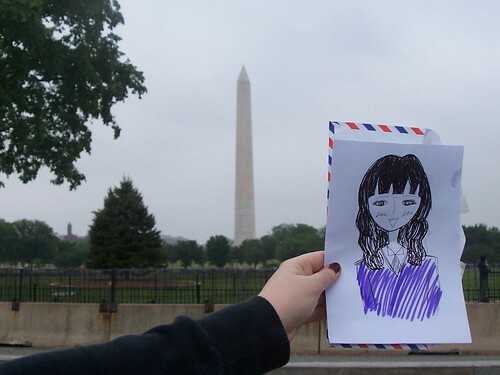 Hye Jin and the Washington Monument! It is the tallest building in Washington DC. So Jin went on a special trip. She is the first Sapgyo High School student receive a pen pal letter from a country in Africa! 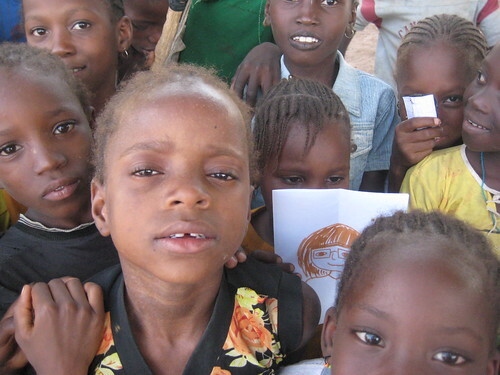 She went to visit Maria in Senegal, West Africa! Maria, like Grace, is in a really cool program called the Peace Corps..
another 17 months. I live in a village without running water or electricity but there are a lot of animals raised there! Mainly people here raise cows, goats, donkeys, sheep, and chickens. Most people who live here also farm crops. They grow peanuts, cotton, corn, millet, sorghum, and rice. We do not have a lot of money to buy extra food, so what we grow is also what we eat every day. There are a lot of mango and cashew trees around too, so we eat a lot of mangoes, and cashew apples. hometown someday because I love to travel, swim, and meet new people. P.S. 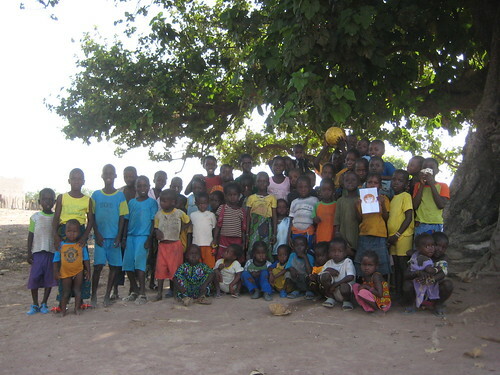 The picture I sent you is with all the children from my village. So Jin and the children from Maria’s village! 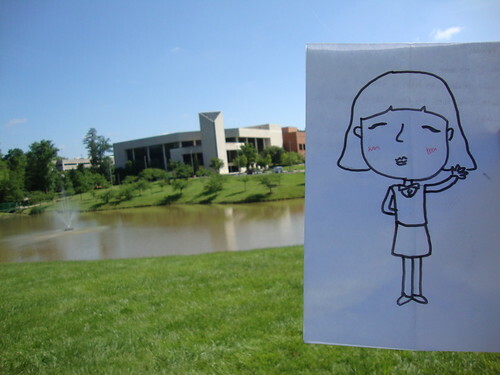 Ji-Su traveled to Sterling, Virginia to meet Ben! Thank you for your letter! I’m currently a graduate student at George Mason University. I want to work with computers when I finish my masters degree, but I don’t know what I want to do exactly. I grew up in a town named Reston, and now live in a town named Sterling, both of which are near Washington DC, my nation’s capital. This picture is at the library near my house. I love to read, so I get a lot of books. 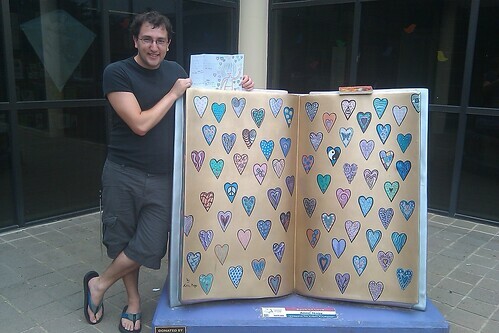 This is a sculpture right outside the library, the book has hearts in it, which match the background of your picture. I hope you enjoyed reading my letter!